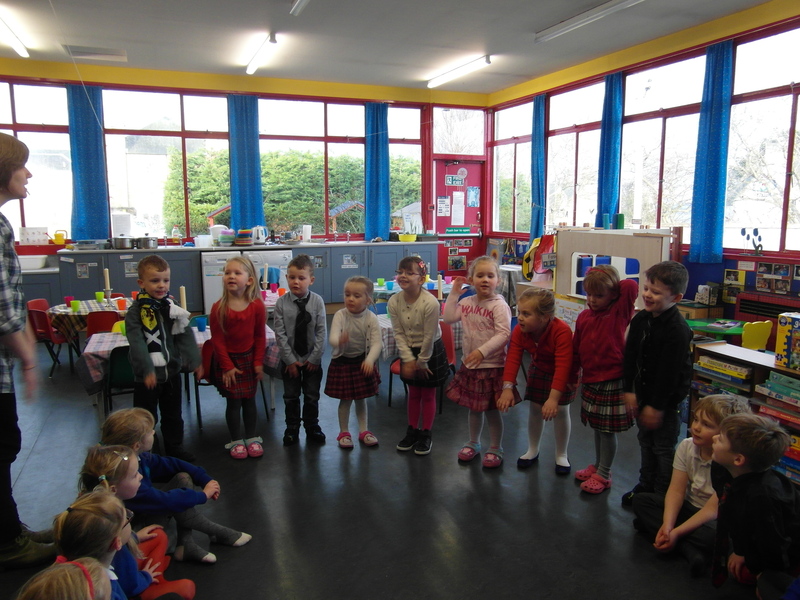 We have two nurseries which come under the management of our school and are located within the school. It is possible to use your 16 hours of funded early education and childcare and also to purchase additional hours between 8.45 am and 3.20 pm. Please contact the nursery for more information. 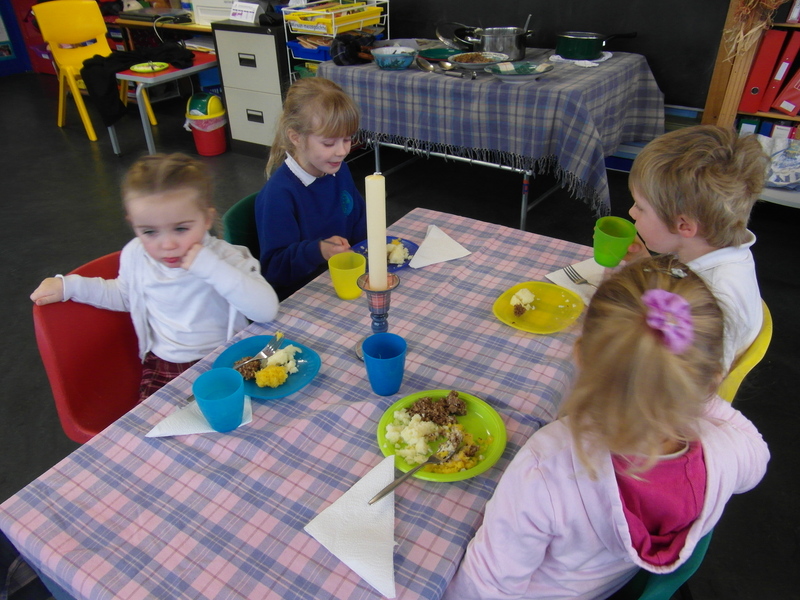 The Burns’ Supper at Craighill Gaelic Nursery. We do not all like haggis!!! !